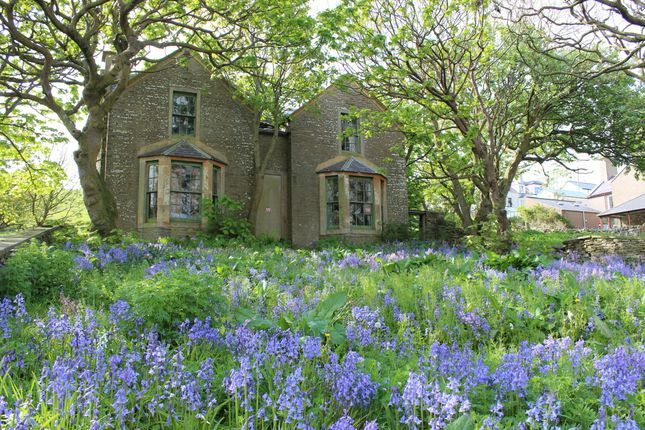 A rare and exciting opportunity has arisen to purchase this imposing late 19th Century Listed property situated in a desirable location in the picturesque town of Stromness. The property is on the ‘Buildings at Risk’ Register, requiring complete and extensive renovation and is not fit for habitation. Entry to the property is prohibited due to safety reasons. Accommodation comprises Living room, Dining room, Study, Kitchen with Scullery and Pantry, Toilet, four Bedrooms, Boxroom and a Bathroom. Double Garage.